Membership is yesterdays methodology. 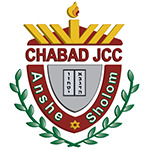 Today we look forward to Partnership with Chabad JCC. Albeit it is optional, we strongly encourage our community members to help support out vital work. From daily and Shabbat services, to the Schools, Camps, Adult Education, to Communal and Social service programming. Partnership is a great way to be a part of something great and to feel good about yourself and being part of a Jewish Community Center. Visit the Donate page for details. Donations in other denominations are also available now and anytime of year. Hey, don't think Partnership doesn't have it's benefits...now you are not just a member you are a PARTNER in all we do. The Funds from partnership go directly towards monhtly costs at Chabad JCC.